Get your termite ( white Ants ) Barrier protection and termite treatments done with Termidor. And you will have the best termite barrier protection with a 8 year $2million dollar warranty. 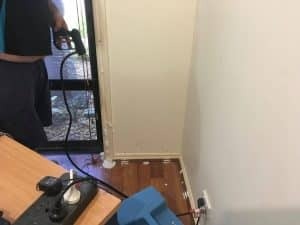 Termites and termite damage not picked up during a building and pest inspection. In fact during an annual Pest control and annual termite inspection active termites and termite damage were found. As you can see the amount of damage was quite substantial. The damaged caused was over $70,000.00. 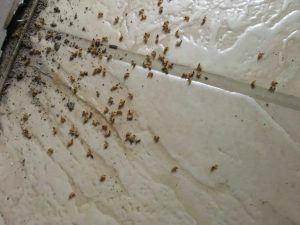 Before this young couple bought this house they had a building and pest inspection but the inspector did not pick up on the live ( White ants) termites or this damage. 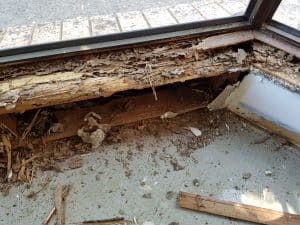 Also the house did not have any current termite protection This is a very important decision when purchasing your home get two inspectors as they specialise in their field of inspections. In other words dont have a inspector that does both. Firstly the treatment opted for was to treat the active termites with Termidor foam. After the treatment was done we knew straight away that it was working we could here the termites communicating . The sound you hear is a vibration or clicking sound and it was very loud. As you can see in the picture we drill a series of holes then apply the termidor foam. So the next step is to get termite protection and we will use Termidor for the termite barrier. Final stage of the termite protection . 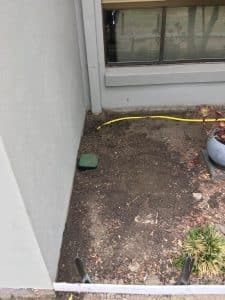 Installation of the Termite barrier . This area we are installing reticulation pipe . Applying the termidor into the trench and backfilling and drenching again with termidor. 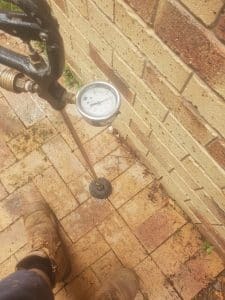 The use of the reticulation pipe will make it a lot cheaper next time. 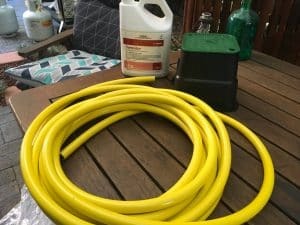 so when it is due for renewal all we have to do is connect up to the refill point and pump the termidor in. Also we need to drill and inject termidor around the concrete areas of your home. If we use Termidor sc the holes must be 150mm off the wall and every 200mm. and if we use the latest Termidor H E they can be 450mm apart which can save a lot of disruption . Like no more disconnecting hot water cylinders and air conditioners to make your barrier compliant. Furthermore you will be eligible for the Termidor 2 million dollar warranty. 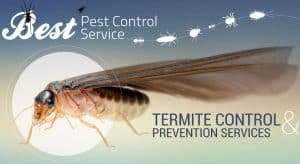 So if you are needing a renewal of your termite barrier or need a termite inspection. Give Vicki or Lauren a call to book it in . They are waiting to talk to you and answer any questions you have call on 32008586.